If you know me at all, then you know I tend to go overboard when it comes to CHRISTmas. I love Christmas! I always have. 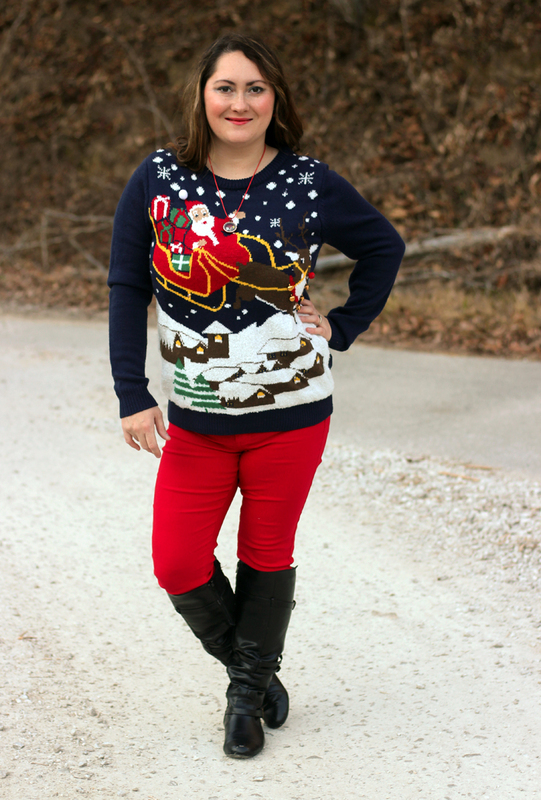 So, I also tend to dress the part all December long. 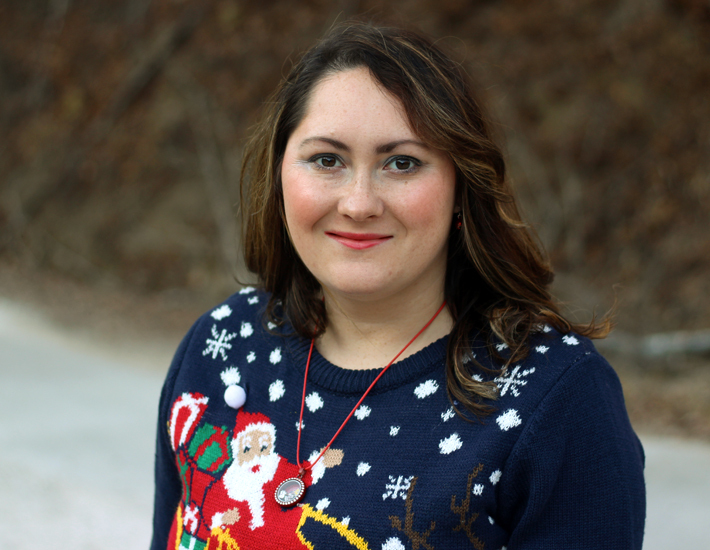 I proudly love wearing my ugly Christmas sweaters too. 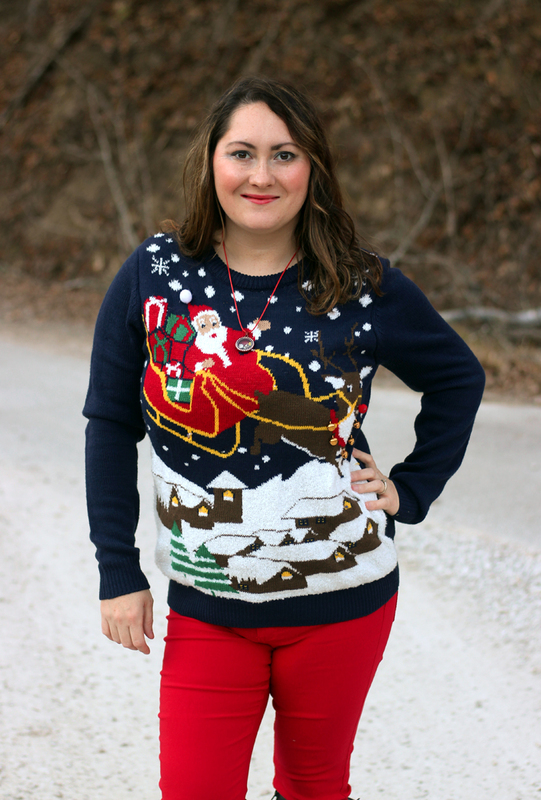 This year I'm loving this Santa and Rudolph Ugly Christmas Sweater. I found this jewel on the after Christmas clearance rack last year at Rue 21. I knew right then and there it had to be mine. It might be an Ugly Christmas Sweater but I love it! I love how Santa and Rudolph are guiding the sleigh through the snowy night. 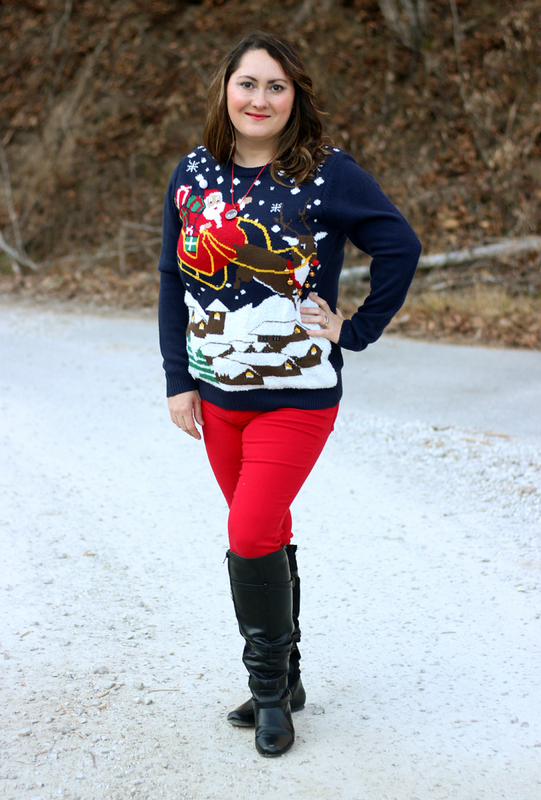 I paired this Ugly yet adorable sweater with Red Jeggings and Black knee-high boots to make myself look like Santa. 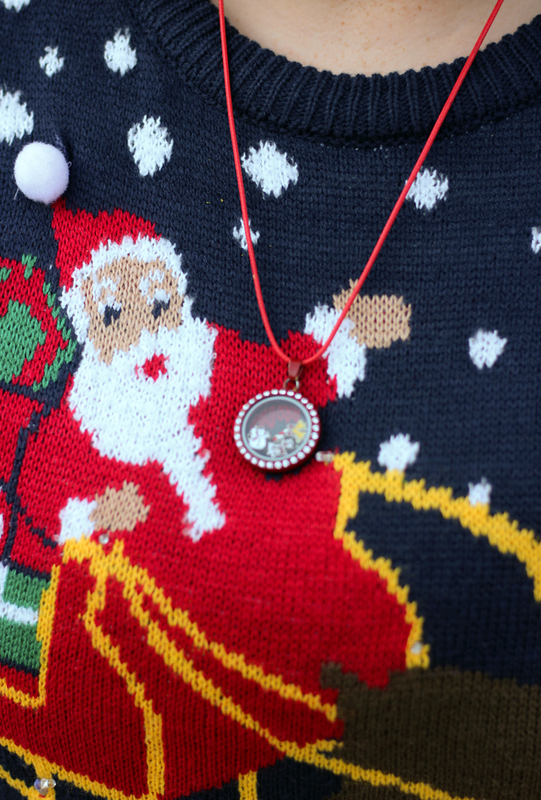 To make the outfit look even more festive, I added my red Christmas Floating Locket for good measure. You can't tell, but the locket has several Christmas Charms inside including Santa and a sleigh. I plan on wearing this on Christmas Day too! What better way to dress up our family Christmas Day Photos this year! 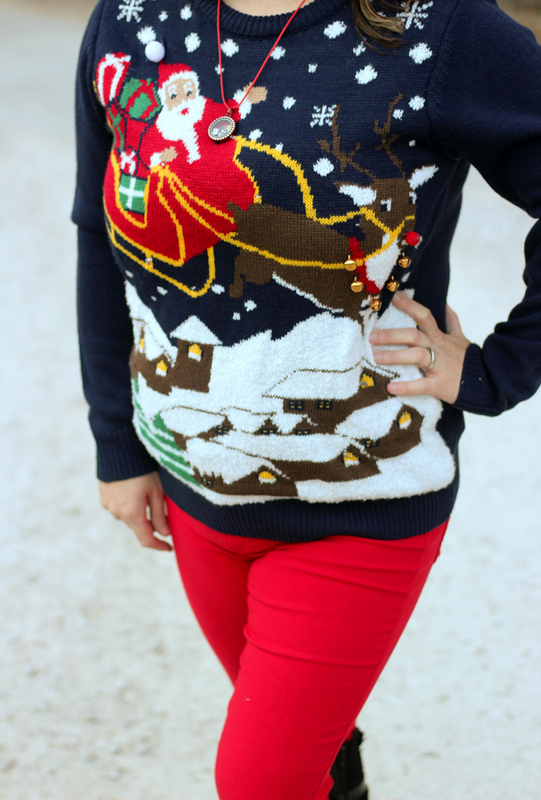 How do you style your ugly Christmas Sweaters?